When you walk into the doors at 1145 Washington Street, the Wall of Hope greets you with tile dedications lining the stairwell and the top of the staircase into the lobby. These tiles are a symbol of the individuals and organizations that tirelessly support Project Place and the men and women who walk through the doors and seeking help. This June, new tiles were unveiled in honor of donors and staff. 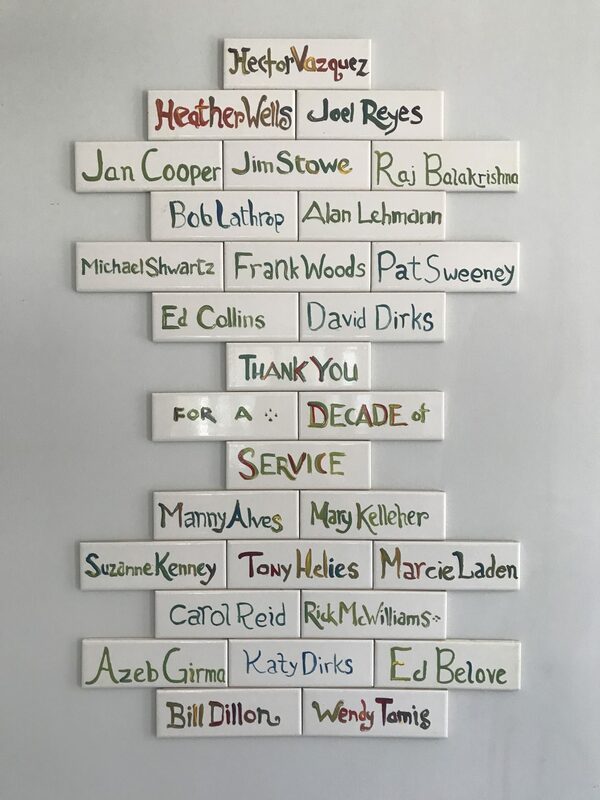 Tile dedications honoring donors Eileen & Jack Connors, Highland Foundation, and Howard & Michele Kessler have also been added to the Wall of Hope.